The event is free. All are welcome. Refreshments and a light supper will be provided. 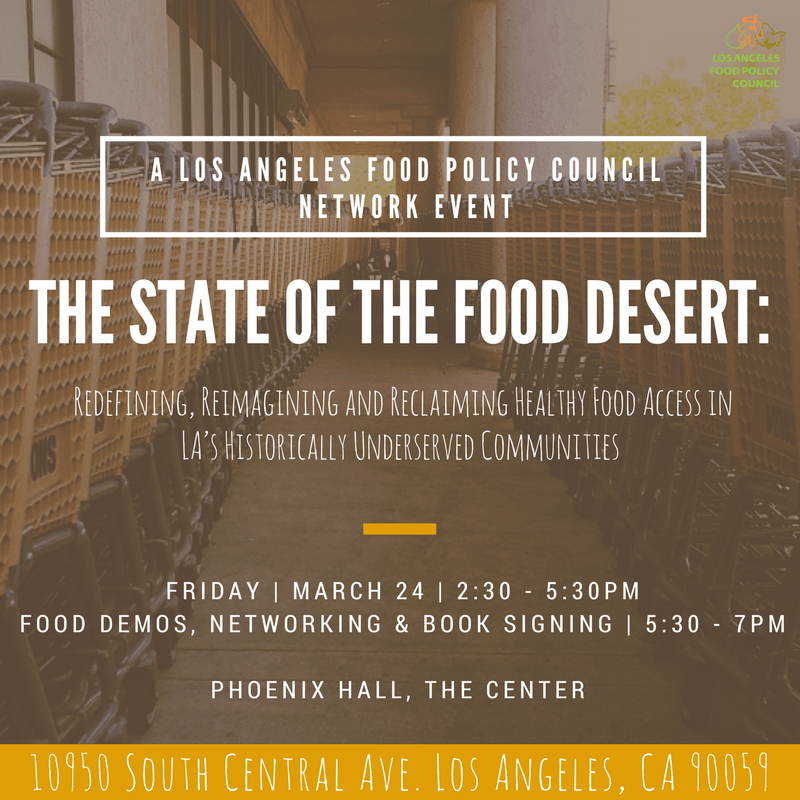 Join us Friday March 24th for an exploration of healthy food access in Los Angeles from past to present to better understand the problems and systemic causes of “food desert” conditions, solutions for addressing those conditions and the best measures of success. Through this event, we will lift up the community experiences of those most impacted by disparities to identify relevant solutions and build our collective vision for achieving food equity in Los Angeles. We’ll work together on a policy platform that will serve as a blueprint for the food movement in Los Angeles over the next few years. Read more about the session topics here.